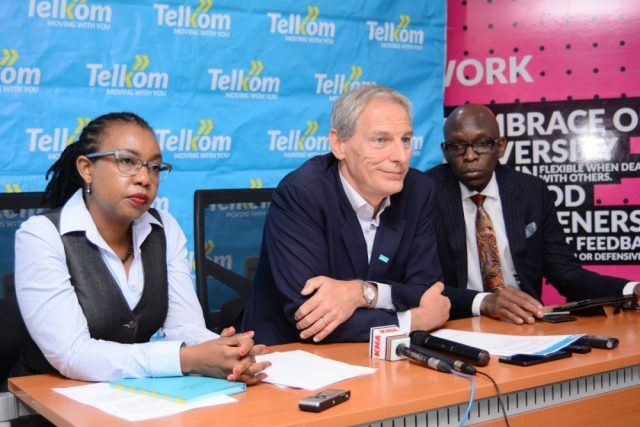 Kenya’s third largest telecommunications provider, Telkom on Monday announced changes to its voice, SMS and data billing. On its part, Telkom will now charge off-net calls Sh3.30 per minute, on-net calls Sh2.30 per minute and SMS (any-net) at Sh1.10cts per SMS. Pay-As-You-Go (PAYG) price for mobile data will also see an increase of 30 cents per MB translating to a new Pay-As-You-Go (PAYG) price of Sh4.30. The telco’s mobile post-paid services will also attract a 15 per cent excise duty, up from 10 percent while broadband and fixed voice services will see the introduction of 15 percent excise duty. The revisions will take effect on October 23 at midnight. “Although these additional taxes will lead to an increase in the cost of Voice and Data services to our customers, Telkom remains committed to delivering the best value to them,” said Aldo Mareuse, Chief Executive Officer of Telkom. Internet and Pay TV provider Zuku also made slight adjustments to their billing system in line with the Finance Bill, 2018 accented to by President Uhuru Kenyatta. “The application of the excise duty by the government has led to an increase in the charges payable for the internet component of Zuku Fiber packages,” the firm said in a statement. The adjustments in the pricing, Zuku says took effect on 8 October 2018. “Excise Duty tax was applied to the internet component of all service packages,” the Wananchi Group owned firm said. Safaricom reviewed its prices for mobile data bundles, Fibre-To-The-Building (FTTB) and Fibre-To-The-Home (FTTH) to effect the new 15pc Excise Duty tax on internet services which took effect on October 18. Airtel’s revised prices will also take effect on October 23.